Let's take a closer look at KOH's latest special collection, KOH Paparazzi. I'm featuring the three pairs of polishes in this order: lilac, grey and blue. For each of the base colours, you're looking at two coats. 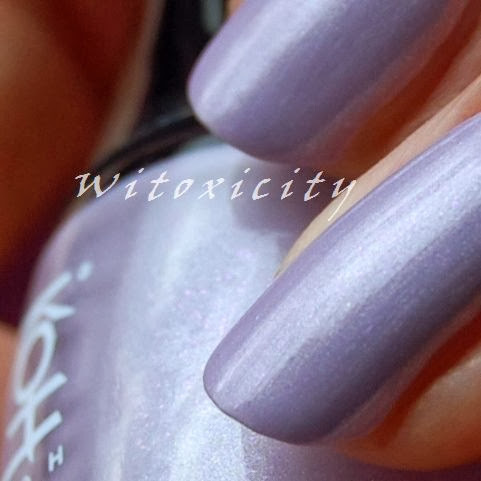 KOH Gossip is a lilac with subtle shimmer. It's pretty and subdued. 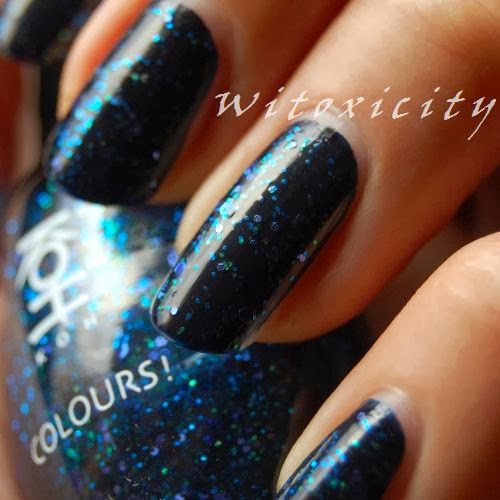 Extremely Famous is an un-shy glitter polish in clear liquid. 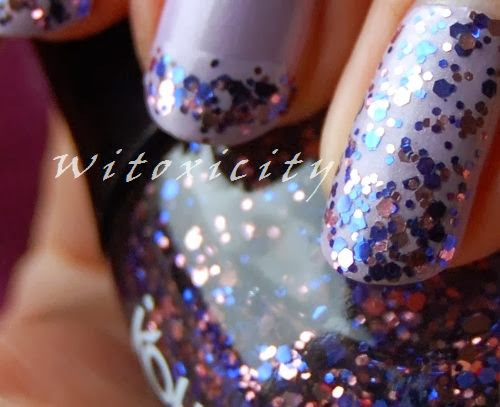 The mostly-large hexagonal glitters are pink and sapphire blue in colour. Here, it's shown layered over the lilac of Gossip. Biggest Fan is a straightforward dark grey créme. 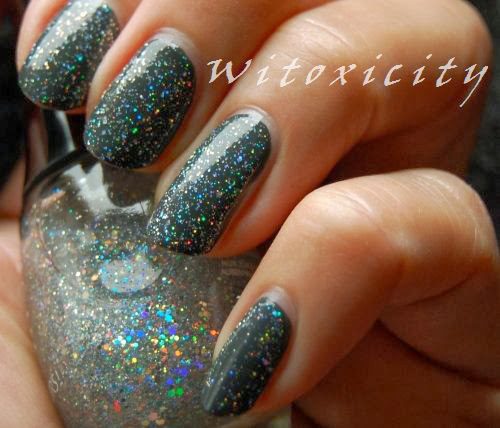 This one is a multi-sized flakey/glitter mix. The particles are rainbow-coloured, depending on how they catch the light. This is Flashing Lights layered over Biggest Fan. Black-blue is how I would describe KOH Snap Shot. Like Biggest Fan, it's a glossy plain créme. This is my favourite pairing - KOH Attention layered over Snap Shot. 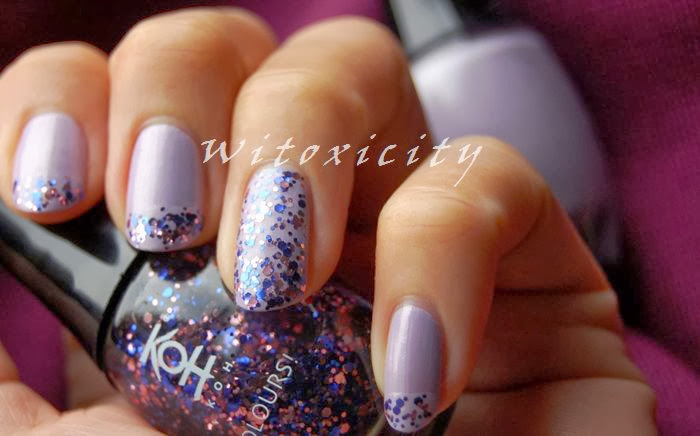 Attention has both large and fine blue/purple hexagonal glitters accompanied by small, round green/aqua glitter bits. Polishes kindly provided by KOH Cosmetics. You can, of course, change the pairings. 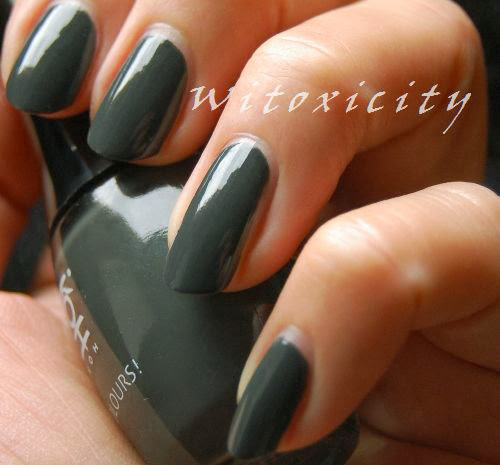 The combinations can always be played around with these six polishes. 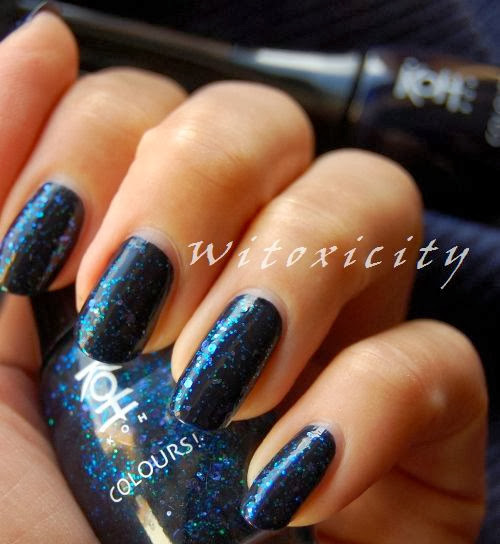 The KOH Paparazzi collection is out now in stores and in the KOH online shop. 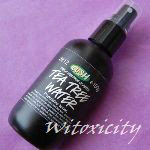 Price: €14.99 per bottle.